The Old Dutch Church in Sleepy Hollow has been perched on the hill overlooking the Pocantico River and the Albany Post Road for well over 300 years. As a young man, Washington Irving would often sit and look out the window in the above photo, daydreaming and watching the life of the graveyard just outside the three foot thick walls of the church. One sunny afternoon, Irving was struck by a strange illusion. The sun casting shadows on the carved face on one of the tombstones looked exceptionally realistic. So he went out to investigate, making a note of the name, Catriena Ecker Van Tessel, whose name he anglicized when she bacame the love interest in The Legend of Sleepy Hollow, Katrina Van Tassel. So you can honestly say that the Legend of Sleepy Hollow was born in the Old Dutch Church, which I returned to last October 30th to catch a performance of the Sleepy Hollow storyteller, Jonathan Kruk. Jonathan has spent a good part of his life telling the story and running down the history and the legends behind Irving’s famous tale. You’d be hard-pressed to find anyone else better-suited to tell the tale, particularly in the venerable old church which played a prominent part in the story, as well as the history. Jonathan Kruk performs the Legend of Sleepy Hollow in the Old Dutch Church, October 20, 2010. Jonathan’s performance runs each weekend from October 8-9 through October 30th this year, and tickets sell out. Rightly so. 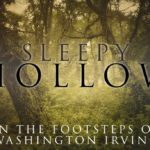 Few stories tap into the archetype of American halloween like the Legend of Sleepy Hollow, and I was amazed to find out a few years back that not only was the Old Dutch Church still there, but that one could experience anything that still captured the mood of Irving. At the time, Kruk was giving his performances at Legend Weekend at Philipsburg Manor, which also is featured in the tale. 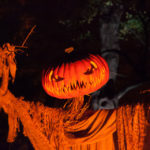 Beginning last year however, Historic Hudson Valley came up with the idea of moving the performances to the church and turning Philipsburg Manor into a headless horseman haunted theme park, Horseman’s Hollow. Which is oddly appropriate, as over the years the original legend has been pushed further into the background by a series of ever more comical, ever more gruesome films. 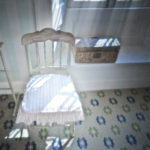 Historic Hudson Valley has perfected both – the modern and the traditional with these two events. It’s impossible to ignore the fact that over the years the Legend of Sleepy Hollow has become something different, and why not celebrate that, as long as you still keep the original story alive as well. With Jonathan Kruk’s performance, the tradition is respresented just as perfectly as the spectacle across the highway. The interior of the church is lit only with candles – an ancient chandalier, wall sconces and jack-o-lanterns, and capacity crowds fill the sanctuary for each performance. Wisely, Historic Hudson Valley doesn’t try to squeeze a person into every available space in the pews, and so every seat has a great view and room enough for comfort. 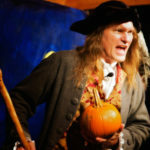 Jim Keyes in a performance of the Legend of Sleepy Hollow in the Old Dutch Church, October 20, 2010. For the first performance I joined multi-instrumentalist Jim Keyes in the organ loft. Keyes alternates between the massive pipe organ, and the accordion for quieter passages, and in the process, earily recreates the feel of an old silent film. He showed me how the stops of the organ are written in Dutch, and I found myself echoing a thought that occurred to him in an earlier performance. We were in the organ loft of the Old Dutch Church, which if you stop and think of it is a wonderful nightmare come true. Jonathan’s performance starts off lightly, almost casually. There is an air of Ichabod Crane about him – tall, lanky and costumed for the period. The script which is no doubt burned into his memory from over 50 performances this October alone, follows the original story, but told in large part in his own words. 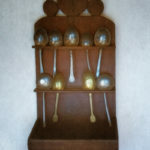 Purists might snort in disapproval at that, but the story is somewhat long as written, and I’ve sat through readings of the story before, and it can be a lot like paint drying. The story was written to be read, but the tale was written to be told. Kruk throws himself into the legend with abandon. Keyes’ score adds mood to the tale, which also features appearances by Jonathan Kruk’s wife, Andrea Sadler as the unfortunate White Lady of Raven Rock. As the tale picked up steam I noticed the audience began to sit up and pay closer attention. In the quieter portions you could hear a pin drop, and while there is occasional laughter, by the time Kruk gets to Ichabod’s wild ride with the headless horseman, the crowd was literally sitting on the edge of their seats. Such is the power of storytelling when done by a master, that one could feel the spirit of of Irving descend on the congregation. The Legend of Sleepy Hollow is one of those tales that you can’t help but believing, and the performance enhances the effect. When he speaks of the horseman being buried in the lonely churchyard, he gestures to a place not thirty feet from where he’s speaking. You can’t help but realize that you are now sitting in the sanctuary that Ichabod was racing towards – hearing the same tale told for over 200 years, and everything just fits. Kruk darts in and out of shadow during the permance, the old graveyard behind him through the windows, leaves blowing in the breeze. His only props are a lit lack-o-lantern, his tri-cornered hat and his walking stick, which he waves in the air at times, turns it horizontal for the reins of Gunpowder, ichabod’s horse, and slams it onto the floor for emphasis. Kruk alternated between dialogue, sound effects of the horse’s hooves, cries, yelps, his voice rising in pitch and fever with Keyes’ working the organ like a madman, the white lady of Raven Rock moaning and crying and by the time the horseman threw his head at Ichabod, the crowd was utterly transfixed. Andrea Sadler as the White Lady of Raven Rock in a performance of the Legend of Sleepy Hollow in the Old Dutch Church, October 20, 2010. 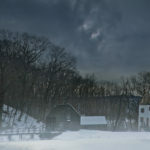 You can call it the power of suggestion, but the reality is, Sleepy Hollow is one of the few places where it’s still possible to become enchanted. You can feel it strolling the grounds of Philipsburg manor, the forest of Rockefeller Preserve and in the Burying Ground of the Old Dutch Church. Inside the Old Dutch Church of Sleepy Hollow, I saw a congregation of believers become spellbound through the power of story telling and legend. And that’s as old as mankind itself. 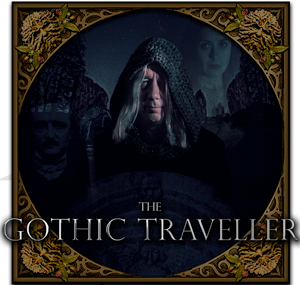 Gothic Travel Rating: First a disclaimer â€¦ I contributed photography to Jonathan’s Book, Legends and Lore of Sleepy Hollow and the Hudson Valley. However, I don’t get paid by the number of books sold, so I think I’m a petty impartial observer. That said, Jonathan has also been my guide to the world of Sleepy Hollow and the Hudson Valley, and probably has done more than any person besides Washington Irving to feed my love for the area. With that out of the way I’md give Jonathan Kruk’s performance of the Legend of Sleepy Hollow at the Old Dutch Church of Sleepy Hollow five crypts, even if I had never met the man. Simply because if you think the idea of having the tale told in the Old Dutch Church around Halloween sounds like something you’d enjoy, his performance is perfect. 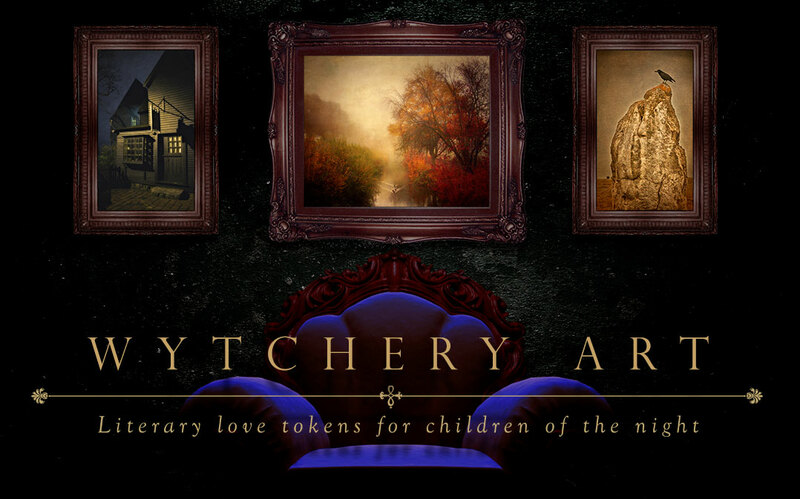 It’s funny, spooky and a prime example of the storyteller’s art, which is fast disappearing. Keye’s score and Ms. Sadler’s wailings and eerie appearances add just enough to enhance, rather than distract from the performance. 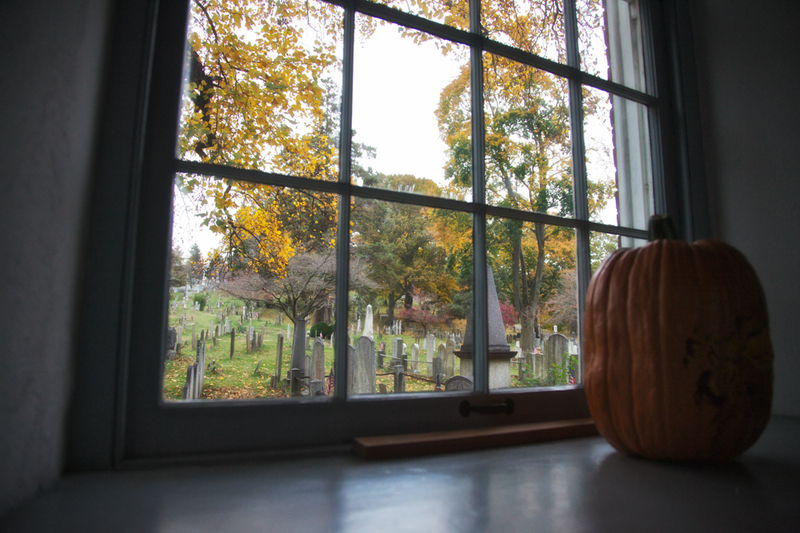 You can spend a full evening in Sleepy Hollow any weekend in October and still be wishing the night was longer. Granted, I am honored and drinking in the History Trekker’s high praise. Praise is like taking in the melancholy gloom of Sleepy Hollow, it’s embarrassing and endearing. Friends, you will have no trouble overlooking my petty bias, when I urge you to behold and gawk at this photographer’s works. Stellar stuff! He reveals the truth of the beauty witihn each site visited. Remarkable! I am SO looking forward to attending this event for the first time when I visit Sleepy Hollow in October, especially after reading your glowing review of it and Jonathan Kruk ! I’ve always loved The Legend Of Sleepy Hollow and I can’t wait to see and hear Jonathan Kruk bring this tale to life ! From videos I’ve seen Mr. Kruk he is indeed a master storyteller . Being able to see and hear him in the Old Dutch Church is even better and it will be such an honor and pleasure to attend this event ! Thank you so much for the wonderful review !! !